Data visualisation typically focuses on the data itself, but in some cases the metadata is interesting in its own right. Lately I’ve been thinking a bit about how to visualise the structure of metadata. Ultimately this could be combined with a data visualisation to make something that coherently shows both the data and its structure. A couple of interesting examples are the harmonised trade system, and ANZSIC. Both of these are hierarchical classification systems, for international trade and industries respectively. Harmonised trade is particularly fascinating. It classifies products into a bewildering array of categories. I can’t imagine the effort required to create and maintain this system. As an experiment I made a visualisation of the New Zealand flavour of harmonised trade. 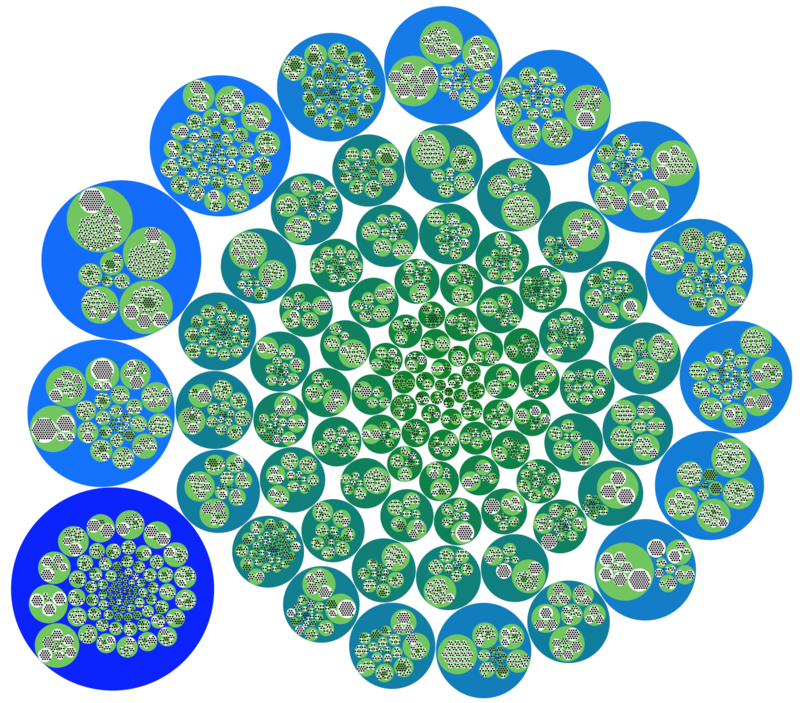 Above is a static picture — each circle represents a category and shows its sub-categories. An interactive version is here, where you can click a category and see what it is. The code is here. I also experimented with an HCL colour space interpolation in D3, for the outer circles.